Our meticulous attention to detail results in a quality reproduction 1930's National Candy/Cigarette Machine Chrome Plated Lock Trim Bezel. Almost identical to the "Original" with line impressions and correct curve to match cabinet door! 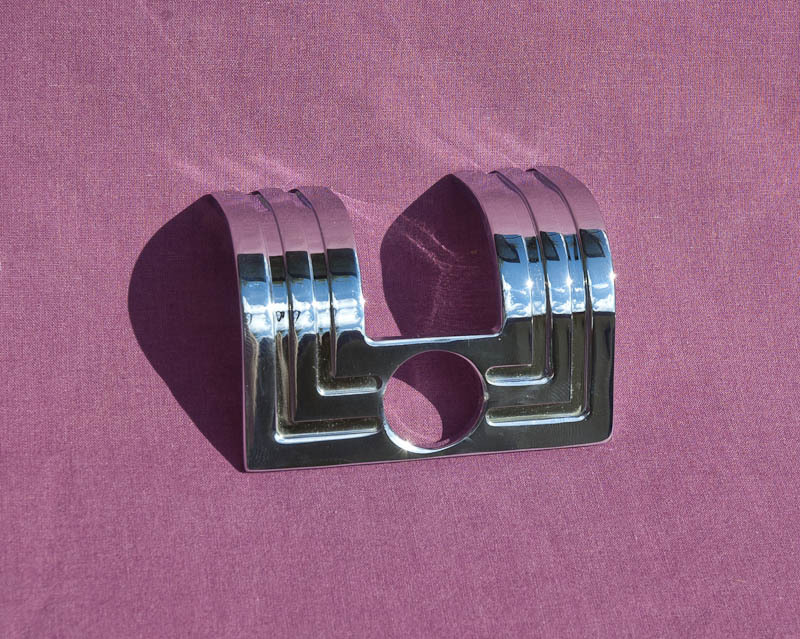 These Lock Trim Bezels were utilized on several National Candy and Cigarette Vending Machine Models. Many of these Lock Bezels are missing, broken or cracked; now you have a solution!